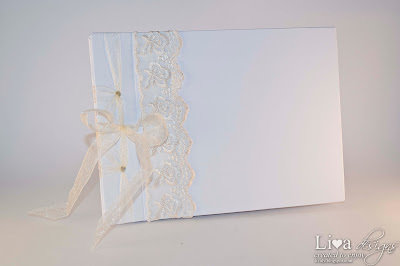 Lately I am working on lots of different wedding guest books. And I also caught some nasty cold - most likely that there were too much AC's around me, because this summer until recently has been very, very hot here in Latvia - not that I'm complaining. 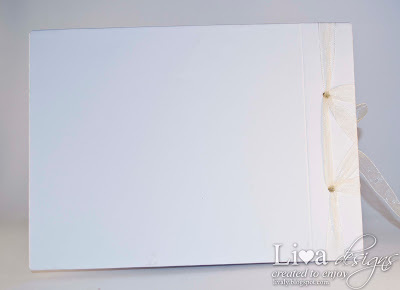 Thus there have been so little post recently, but I hope to remedy that. 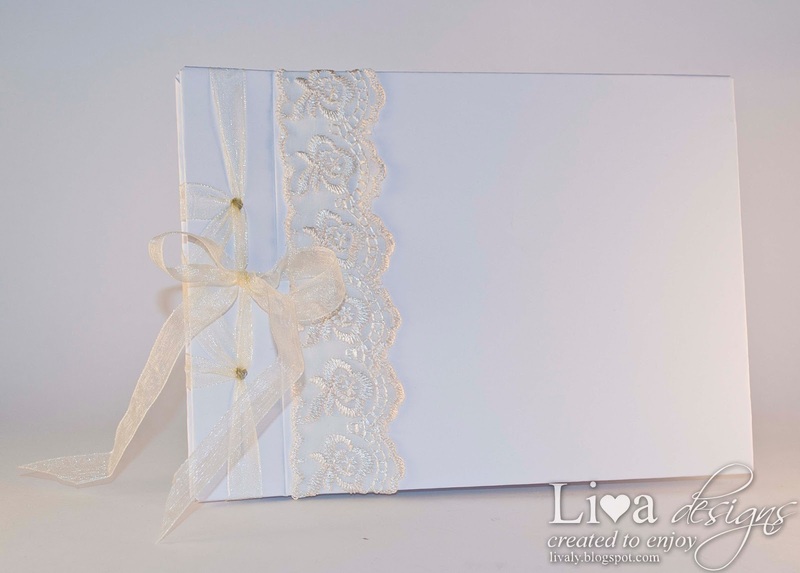 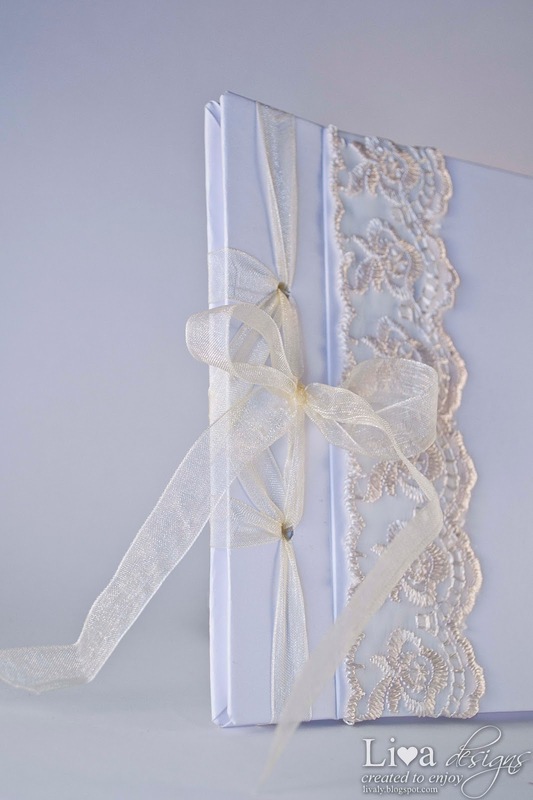 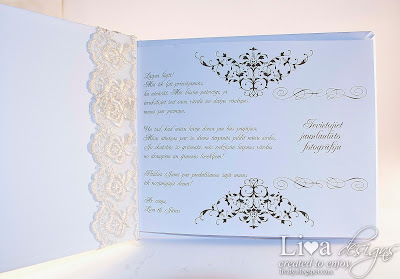 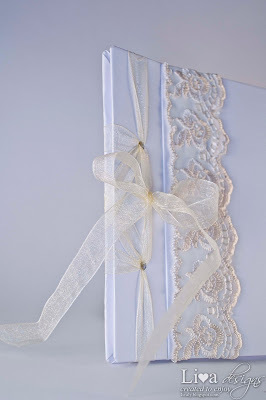 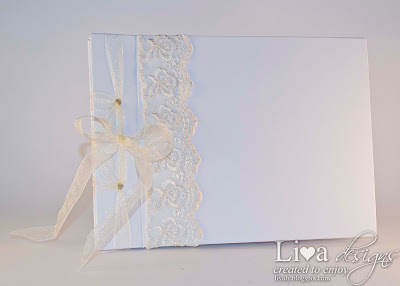 I started by making a simple design - white paper covered front with a single lace wrapped around it. And I learned how to bound my book using ribbon - I love how it crisscrosses on the side. 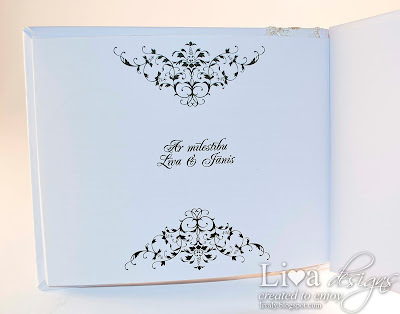 I have included some words of gratitude in the first page as well with a place for a couples photo. 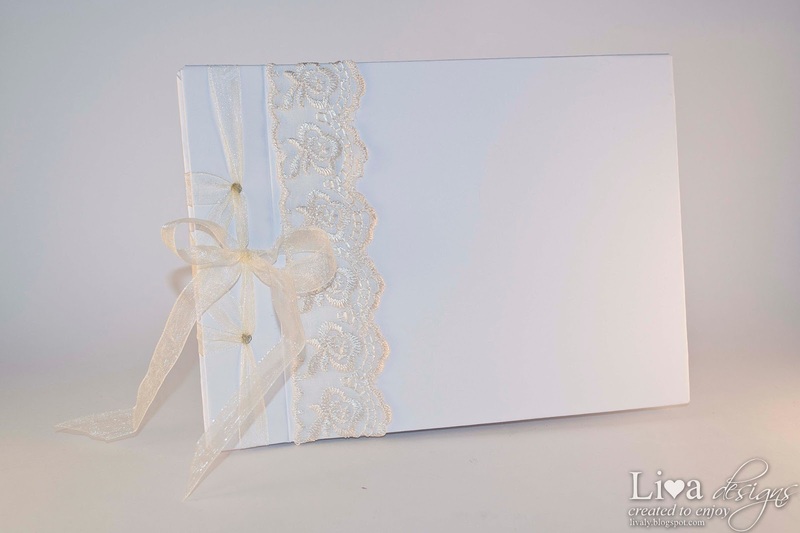 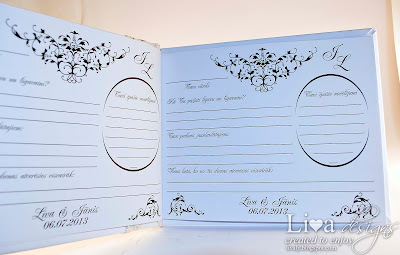 As this is just an A5 sized book, there are just a few basic questions included on each page - like your name, how do you know the newlyweds, your advice and best wishes and what will you remember most about this day. There are also initials of newlyweds and their full names and wedding date at the bottom of each page. 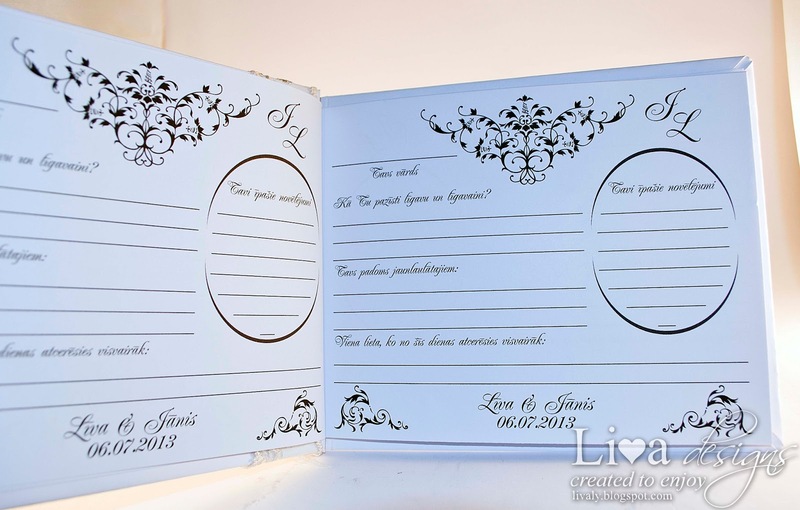 On the last page there is just: With Love and the names of newlyweds. 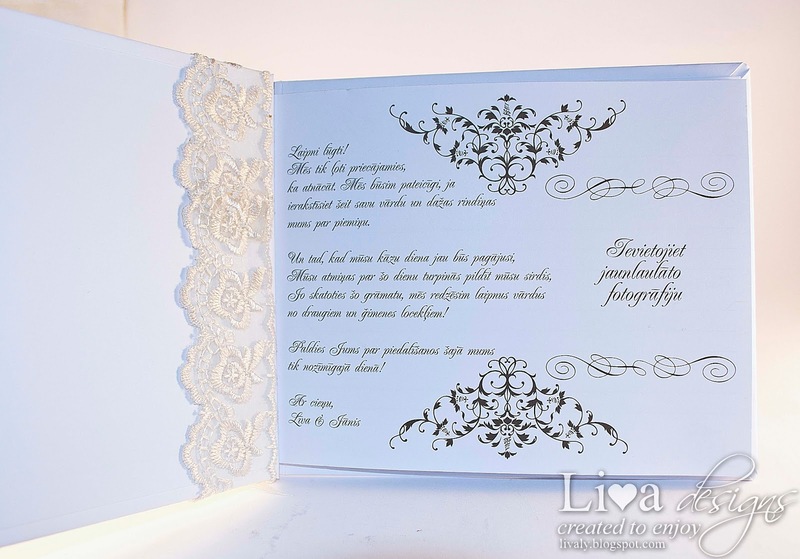 This is stunning Liva! 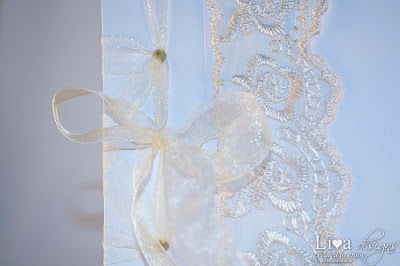 Love the lace and the wonderful script for all the writing!